With so many collections of old games hitting modern platforms from Capcom, a new Mega Man entry getting announced should’ve been something fans expected but it still shocked most of the gaming world. Mega Man 11 is a new numbered entry that has a simultaneous release on every current platform from Capcom and it is yet another great release from Capcom who is having a superb generation so far with Monster Hunter: World, Monster Hunter Generations Ultimate, Resident Evil VII, and more. 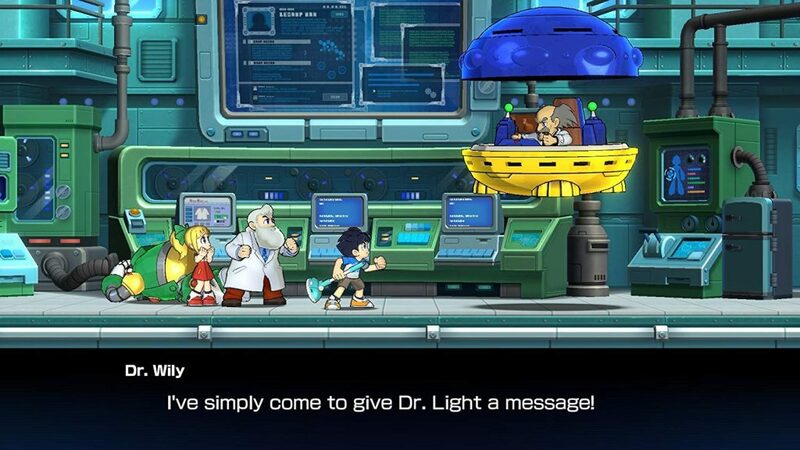 Mega Man 11 is an action platformer with 3D characters in 2D environments resulting in a 2.5D visual style that is accompanied by some great art across the board. You play as Mega Man trying to stop Dr Wily from the Double Gear system as you face off against the likes of Impact Man, Tundra Man (best music in the game), Bounce Man, Torch Man, and more. You can approach the stages in any order and earn new weapons from defeating each of the levels’ end bosses. The new Double Gear system adds an interesting layer. You can slow down time or get a boost in power. These last for a short duration and overheat if you use them too much. Mega Man games have always had a distinct aesthetic. I was initially a bit skeptical of the visual style here but Capcom has done a great job with blending the well detailed 3D models in gorgeous 2D levels. The environmental art is very nice and the animations are slick across the board. The visuals could use a bit more polish while docked but thankfully everything is great handheld. When it comes to performance, it has been rock solid all the way. Many Switch ports of current generation games suffer when it comes to performance but it definitely feels like Mega Man 11 was built keeping Switch in mind from the start. There’s great use of HD Rumble as well for feedback when you take damage. Music in Mega Man games is another important aspect since the franchise has such a brilliant set of tunes. 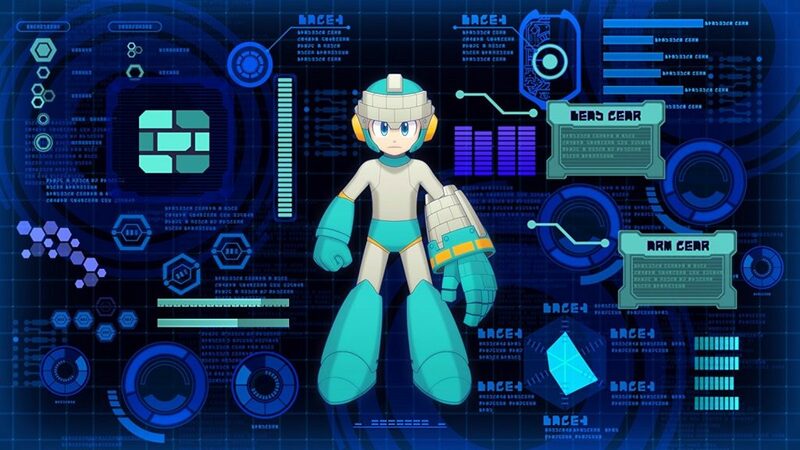 Mega Man 11’s soundtrack is almost perfect. There are a few tracks that would fit right at home on a best of franchise collection. While the Mega Man games are notorious for difficulty, the collections have been adding a few modern conveniences. 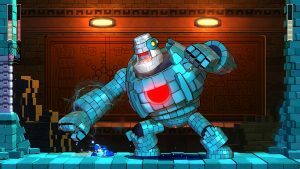 Mega Man 11 turns that up a notch with multiple difficulty options ranging from a super easy one for newcomers to action games to something for veterans of the franchise. Capcom definitely went all out to make sure this entry is not only great for casual fans but also the people who have been with the series from the start. There are a few issues with the release. Some of the stages feel a bit too long. The checkpoint system is forgiving but trimming down some of the fat from a few of the stages would’ve made for a much more focused experience. The Switch version looks and runs great in handheld mode. I had no performance issues at all even while playing docked but visually it needs a bit more polish when played docked on Switch. The lack of antialiasing is a problem that affects almost every Nintendo Switch release. Overall, Mega Man 11 is not just a great Mega Man game but also a superb entry point into the franchise. While the collections that have released across PS4, Xbox One, and Switch serve as lovely sets of history with modern conveniences in some cases, Mega Man 11 is a great way to get into one of Capcom’s most beloved franchises. While the stages could be a bit shorter and the music could’ve been a bit better, this is a superb action platformer and one worthy of the Mega Man name. Mega Man 11 almost feels like a Sonic Mania like moment for the franchise and I mean that in the best way possible.